董九志, 谭自阳, 蒋秀明, 等. 纤维绕针弯曲阶段穿刺钢针针尖形态优化[J]. 哈尔滨工程大学学报, 2019, 40(2), 387-392. DOI: 10.11990/jheu.201806076. DONG Jiuzhi, TAN Ziyang, JIANG Xiuming, et al. Optimizing of puncture steely needlepoint morphology during the stage of fiber bending and elongation needles[J]. Journal of Harbin Engineering University, 2019, 40(2), 387-392. DOI: 10.11990/jheu.201806076. 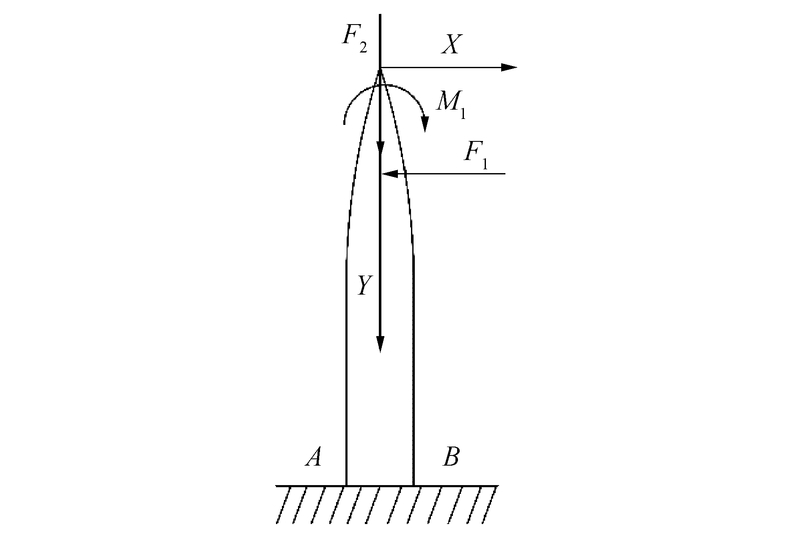 Abstract: Due to the effect of yarn tension on the puncture of the fiber during needle bending, the puncture needle has combination deformation of compressional and bending; The displacement causes the needle tip to contact with the wall of the puncture template, leading to the destruction of needle tip because of the decline of puncture template, even the problem that the overall puncturing work cannot be performed. 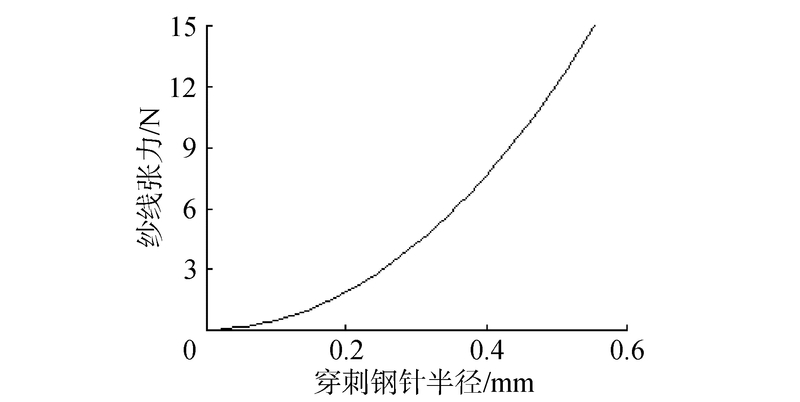 The mechanical model of the puncture needle during the bending phase of the fiber around the needle is established, and the functional relation about the parameters of the needle tip curve, the puncture needle structure size and the material elastic modulus are established according to this model. 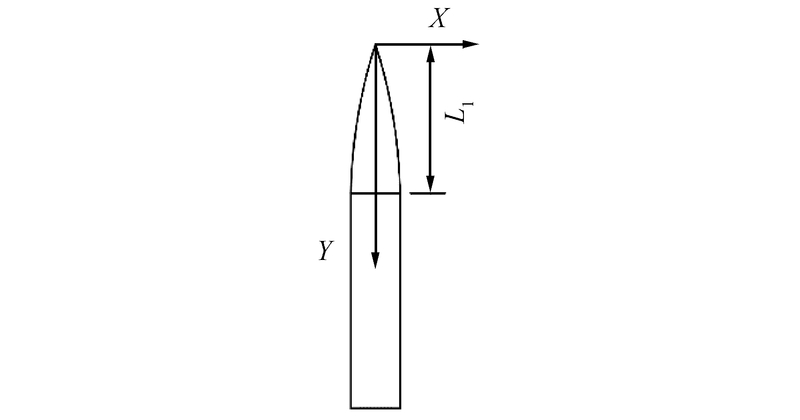 The example about the degree of needle tip curve of the selected puncture system is calculated by Matlab, and gets the most reasonable results when the needle tip curve is a conic curve. 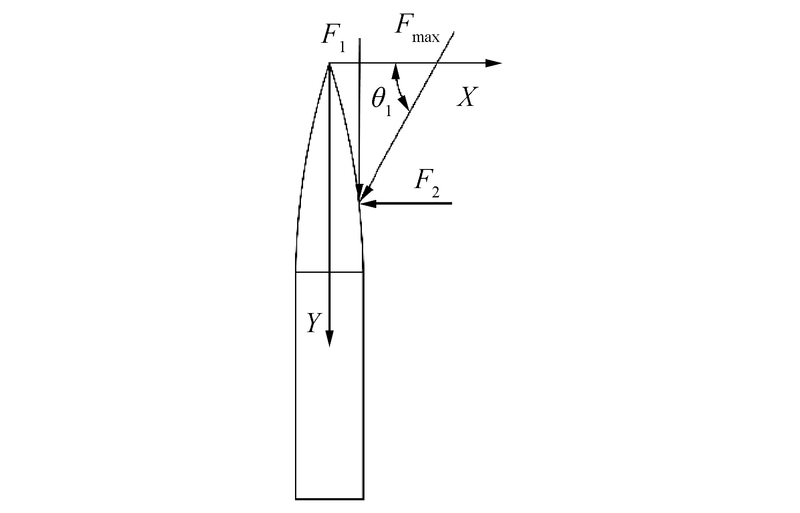 The example verifys the rationality and feasibility of the theory, and provides the theoretical basis for the design of needle tip curve which satisfies the strength requirements and does not contact the hole wall of the puncture template. 朱建勋. 细编穿刺织物的结构特点及性能[J]. 宇航材料工艺, 1998(1): 41-43. 朱建勋, 何建敏, 王海燕. 正交叠层机织布整体穿刺工艺的纤维弯曲伸长机理[J]. 中国工程科学, 2003, 5(5): 59-62, 69. 朱建勋, 何建敏, 周之刚, 等. 整体穿刺机织布顶弯模式下的钢针针尖形态优化[J]. 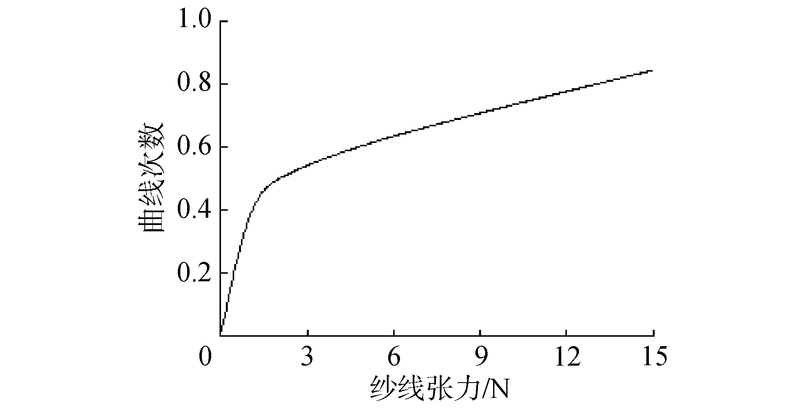 天津大学学报, 2004, 37(8): 690-694. 乔志炜, 胡方田. 细编穿刺织物矩阵刚度优化设计的研究[J]. 玻璃纤维, 2014(3): 22-25. 董九志, 蒋秀明, 杨建成, 等. 立体织物整体穿刺钢针阵列布放装置研制及实验验证[J]. 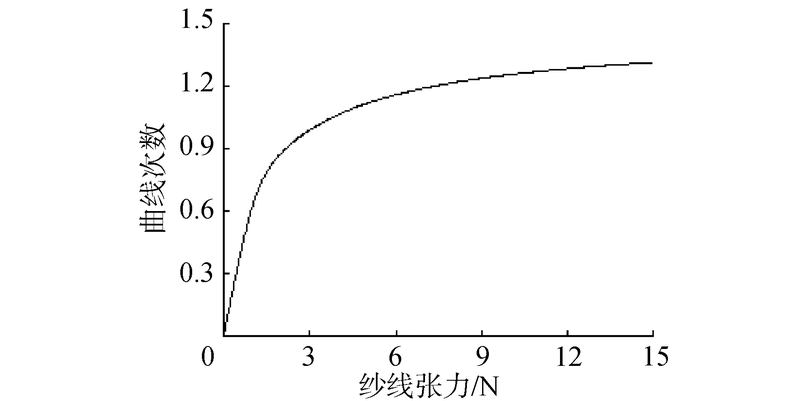 纺织学报, 2015, 36(3): 115-120. 周钰博, 李艳霞, 李敏, 等. 细编穿刺织物的数建模理论与实例[J]. 材料工程, 2017, 45(4): 102-107. 朱建勋, 何建敏, 周之刚, 等.整体穿刺机织布顶弯模式下的钢针针尖形态优化[J].天津大学学报(自然科学与工程技术版), 2004, 37(8):690-694. 朱建勋, 何建敏, 王海燕, 等.基于纤维弯曲模式Z向钢针针尖形态优化[J].中国工程科学, 2003, 5(9):18-21. 孙乐, 王成, 李晓飞, 等. C/C复合材料预制体的研究进展[J]. 航空材料学报, 2018, 38(2): 86-95. 梁珩, 童明波, 王玉青, 等. 细编穿刺C/C复合材料热导率数值模拟[J]. 固体火箭技术, 2017, 40(3): 364-371. 吴小军, 程文, 周绍建, 等. 电耦合CVI制备穿刺C/C喉衬材料的微结构及性能[J]. 复合材料学报, 2018, 35(2): 391-396. 解惠贞, 崔红, 李瑞珍, 等. 穿刺结构参数对C/C复合材料拉伸性能的影响[J]. 固体火箭技术, 2015(1): 107-110. 胡健明, 胡方田. 含金属粉体碳布穿刺损伤与针尖形态研究[J]. 玻璃纤维, 2012(3): 29-32.